Desiring: An extended beach trip. Growing up my family used to pack up and head to Burleigh Heads for 3 weeks every Christmas holidays. We’d stay in the house my great grandfather built – which didn’t have a tv – and spends our mornings at the beach, the afternoons at Tallebudgera Creek. A day or two of water skiing was the norm. This time of year and the beach are very closely intertwined for me. But these days on top of Burleigh Heads, I long for Byron Bay times – swimming in waterfalls, sunset beers at the Beachy, lazy mornings in Lennox. I want all of it. Call it a perk of marrying a Northern Rivers boy. More than once he’s stopped the car in the middle of nowhere and led me to a secret swimming spot. Loving: The Christmas decorations starting to appear everywhere. I do try and hold out until December 1, when Steve and I watch a Christmas movie, listen to carols, cook a fancy dinner and drink port while putting up the tree. But it takes all my willpower to make it that long. Plus the festivities on this instagram account isn’t helping. It’s one I’ve swooned over every day while drinking tea and blasting more carols. Wearing: A wide brim hat, sunnies and sunscreen. Bare feet are a must. Every day. Summer has well and truly hit in Brisbane. 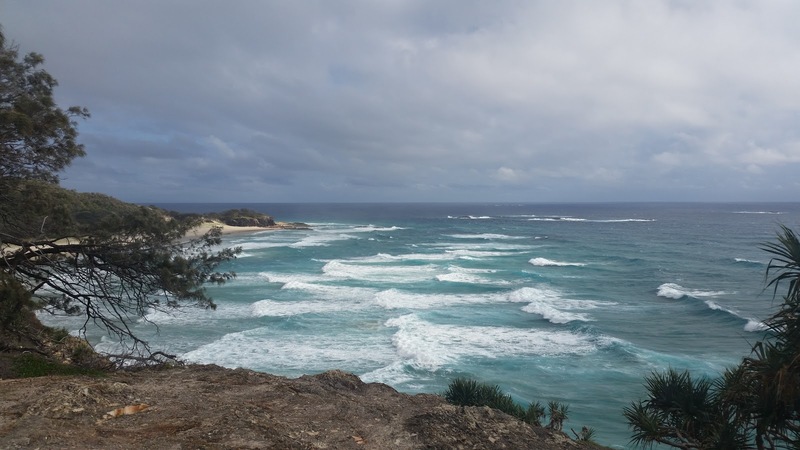 Happenings: We made a short trip to Stradbroke Island at the end of November as part of my yoga teacher training retreat. I hadn’t been since I was a teen, and I have to admit the focus then was more on teenage shenanigans. Who liked who etc. (Sidenote, you couldn’t pay me to be that age again). Steve wasn’t much better so excitement was pretty high. It’s a stunning part of the world. Beaches and bush lend themselves to hikes and swims and relaxing, while barely any phone reception meant we were forced to disconnect and recharge a little. 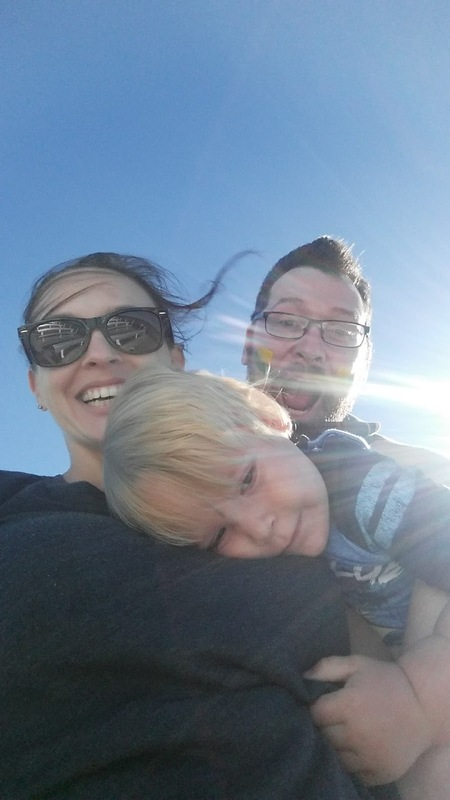 The ferry trip over was exciting for the little man. Big boat! Became a repeates refrain. We stayed near Point Lookout, and will definitely be returning soon. Eating: Bread. Lots of it. Toast with peanut butter, honey, banana and hemp seeds has been my go to breakfast. And I’m apparently raising a toddler who thinks plain bread is the absolute bomb. I mean, a good loaf is heavenly, but c’mon kid. At least let me add a smear of avo to that slice. Drinking: Water. Loads of it as the Brisbane weather begins to heat up. Also a lot of chamomile tea. I’ve been buying it in bulk from here and it’s pretty damn delicious. Oh, and kombucha! And a sneaky cider in the afternoon too. Hearing: Music. Lots of it. Fiona Kelleher’s I’m a Little Boat is on high rotation when the little man is awake, as is old school jazz. And podcasts – so many podcasts! The Slow Home podcast is a winner, and I just finished Dirty John. I wasn’t sold on it to be honest. Plus I’m slowly sneaking Christmas Carols into the mix. Reading: I think my New Years Resolution should be to finish a book before I start the next? Ah who am I kidding, that’s not going to happen. I’m currently finishing of The Wolves of Calla while also dipping into Slow and The Course of Love by Alain de Botton. Each is remarkable in its own way, but Slow is really resonating with me – especially as we head into the crazy festive season. Why put so much emphasis on STUFF? And I still love the idea of putting away all screens and reconnecting properly with your loved ones for a day or two. Update: I finished Slow and loved it. Perhaps I’ll buy a copy next year. Watching: Well ’tis the season! I’m about to bombard my loved ones with a multitude of Christmas movies, from A Christmas Story to Elf, Die Hard to Gremlins. Plus I’m dying to see The Man Who Invented Christmas. Anticipating: Christmas. It’s my favourite time of year. The decorations! The carols! The food! The celebrations! Ironically I hate consumerism – there’s just so much “stuff” bandied about, most of which is forgotten about, broken or thrown out within the week. But a good afternoon with family and friends and Michael Buble crooning in the background is pretty much perfection. Ruminating: On how to expand my brain a bit more. A recent date night out to see Brian Cox left me speculating about how I need to feed my brain with more educational/expanding content. I’m not a scientifically-minded person – words have always been my thing – but listening to Brian Cox speak about (supposedly) fairly rudimentary physics left me grasping to comprehend what the hell was going on. To make matters worse, there were fairly young kids in the audience. I’m clinging to the hope that they also struggled. Cue a resolution to read/listen to more things that will really make me think, as opposed to the fairly light on things I’ve been stuck on thanks to 19 months and counting of sleep deprivation. That being said, anyone overhearing my and Steve’s discussion about how time is a dimension would have been pretty amused. Now over to you – how has the month treated you? Life inspired by Heidi (and in turn by Pip).